Veteran actor and politician Shatrughan Sinha got a taste of incessant trolling after his comments on the #MeToo movement were criticised for appearing to lighten the gravity of the campaign. A day after he was slammed for his controversial comments, the 72-year-old actor offered a clarification of sorts and defended his stand in an interaction with the press. "Men are afraid to open their mouths in front of women. Pataa nahin kya bolne se kya matlab nikala jayega. I spoke in good humour about the fear of being called out, that all of us in the entertainment industry are staring at, and look at the way the nari protection brigade is out to prove me a lecher," IANS quoted him as saying. 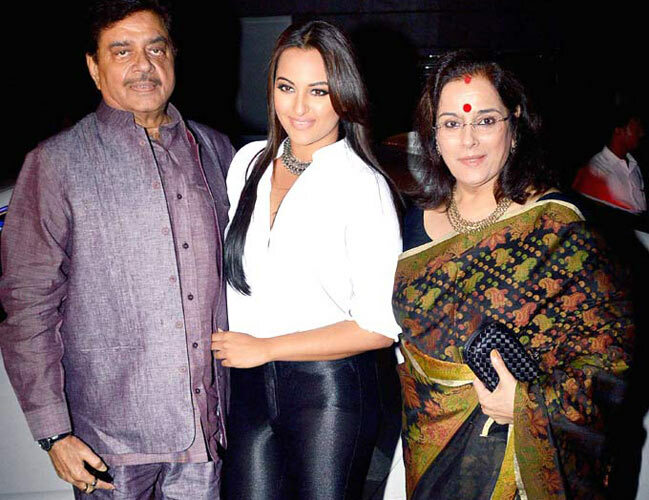 In his defense, Shatrughan Sinha added that his household is dominated by two strong women figures - his actress-daughter Sonakshi and wife Poonam Sinha. "I speak with the highest regard for all women, and stand by their right to be treated with dignity and respect. Don't forget I've two powerful women, my wife Poonam and my daughter Sonakshi at home. My sons Luv and Kush and I happily let them be the boss of our home," he said, reported IANS. Standing by his "fortunate not named in #MeToo" statement, the actor added: "Of course I am fortunate that I haven't been called out. I am a very friendly person, have always been warm and talkative, and I used to flirt harmlessly with my heroines before I got married. They never seem to mind my innocuous flirting. But now how am I supposed to be sure that some lady won't come forward to say she objected to my behaviour 30-40 years ago but couldn't come forward to speak as I was too powerful?" While many have been outed as alleged sexual harassers in Bollywood's wave of the #MeToo movement, Shatrughan Sinha appeared to stand up for filmmakers Subhash Ghai and Rajkumar Hirani: "Names like Subhash Ghai and Rajkumar Hirani are being called out without substantiated evidence. Men who have toiled for years to build a reputation for themselves are losing it over a tweet. So of course I stand by what I said." In the recent interactions, the actor-politician repeated the comments he was earlier criticised for and said: "Behind many successful men's downfall there is a woman or several women these days. This is a fact. How is it disrespectful to women? And who decides what is respectful and what is not? Why have some self-appointed guardians of morality made themselves the MeToo movement their personal property, to be used as when and how they wish." In his earlier comments, which sparked massive social media outrage, the actor-politician had said: "Today is the time of #MeToo, and there shouldn't be any shame or hesitation to say that behind a successful man's fall is a woman. Behind the troubles and infamy of successful men, there have been mostly women that I've seen in this movement." Twitter quickly took offense and had asked him to be "khamosh" (a dramatic use of his own signature dialogue from Bollywood). But he did not stop at just that and further stated that he's "fortunate" that his name did not crop up in the barrage of #MeToo stories, which had gripped the film industry last year. "I really call myself fortunate that in today's times, tamam harkate karne ke bawajood, my name hasn't come out in the #MeToo movement. Hence, I listen to my wife and often take her as a shield with me so that even if there's nothing, I can show that I am happily married, my life is good." In response, Twitter wanted to know in sarcastic comments if he indeed was expecting to be named as a sexual predator. Bollywood's #MeToo movement shook the industry to the core as prominent names such as that of Alok Nath, Nana Patekar, Rajat Kapoor, Kailash Kher and poet and lyricist Vairamuthu were outed as sexual harassers. On Friday, Sidharth and Parineeti's film "Hasee Toh Phasee" clocked five years since its release.